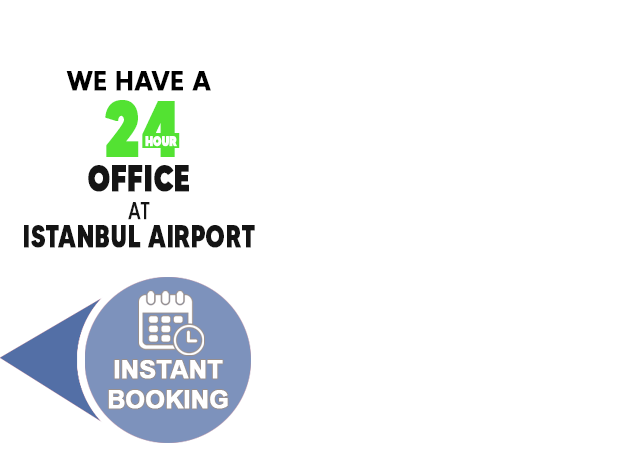 We provide the transfer service from the point where you want anywhere in Istanbul. We make the private booking everywhere in Turkey. We provide the transfer service from Istanbul Atatürk Airport And Sabiha Gökçen Airport. Our tools on your demand they will be at your service with reliable driver as long as you want. Please contact us to learn more about hiring a car with a driver. Get your booking request confirmed automatically and stay flexible with free cancellation. You can pay online or at our office. No additional charges will be added after you make your reservation. E-mail support available 24 hours everyday or reach us at +90 538 600 74 02. Highly recommended, makes transportation easy & reliable. Excellent services for Airport, hassle free. Excelente servicio, comodidad y seguridad. Muy buena facilidad para hacer las reservas. Recomendando. There are no hidden surprises with Easy Transfer Istanbul. Your affordable, all-inclusive rate covers all taxes, tolls, fees.